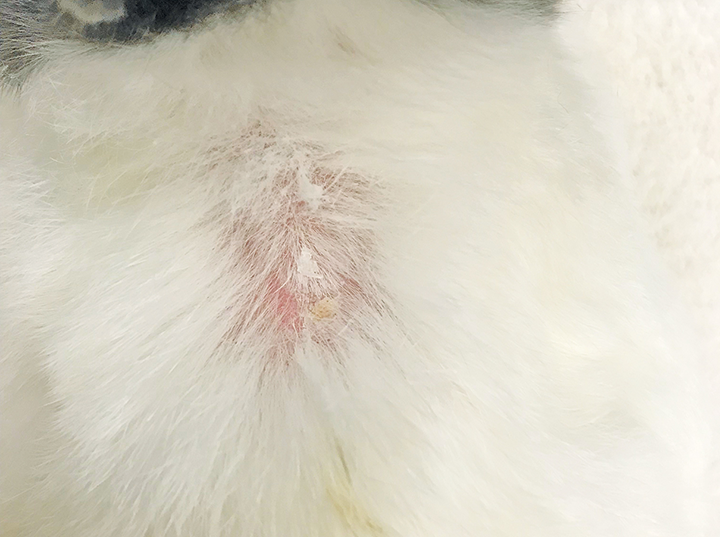 Rabbits infested with ectoparasites can show a variety of clinical signs, most commonly pruritus, scaling or crusting, hair loss, erythema, excoriations, erosions, alopecia, and/or nodules (Figure 1).2-6 Pruritus is the most common clinical sign associated with ectoparasites in rabbits2-4; thus, recognition of pruritus in patients, in other animals in contact with the patient, or in the owner is crucial. 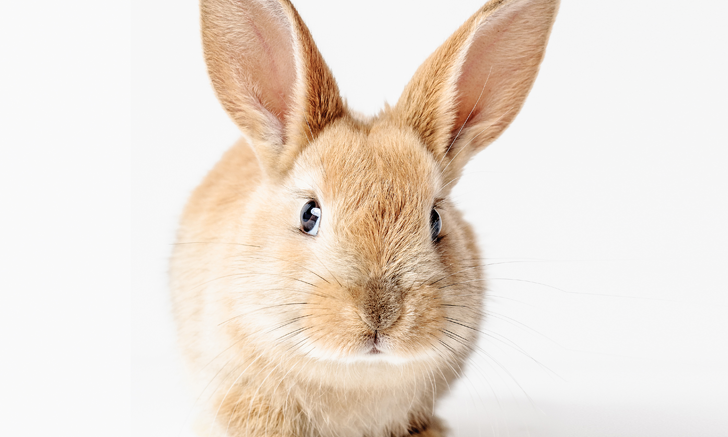 Several useful dermatologic diagnostic tests, including impression smears, are available for rabbits. Direct slide impressions are often used in patients with moist, exudative, or crusted lesions. A moistened swab can also be used to collect cytologic samples, which can then be rolled onto a slide. Brushed hair and debris can be useful for detection of superficial ectoparasites (eg, certain mites, lice) and their eggs. 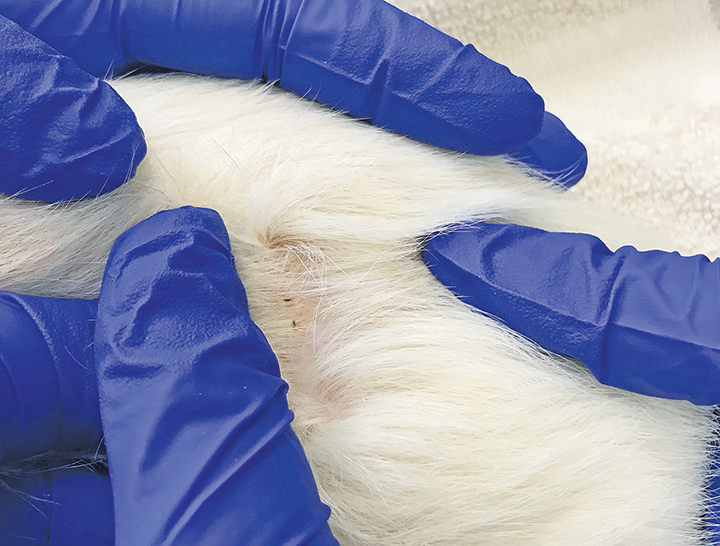 Skin scrapings (Figure 2), both superficial (ie, collection of oiled debris) and deep (ie, down to dermal capillary bleeding), can also be useful in the detection of ectoparasites and their eggs. Because rabbits have thin skin, a dulled scalpel blade or a scraping spatula should be used to perform skin scrapings. Bacterial culture and susceptibility testing can be useful for samples collected from any exudative, crusted, nodular, or cystic lesion. 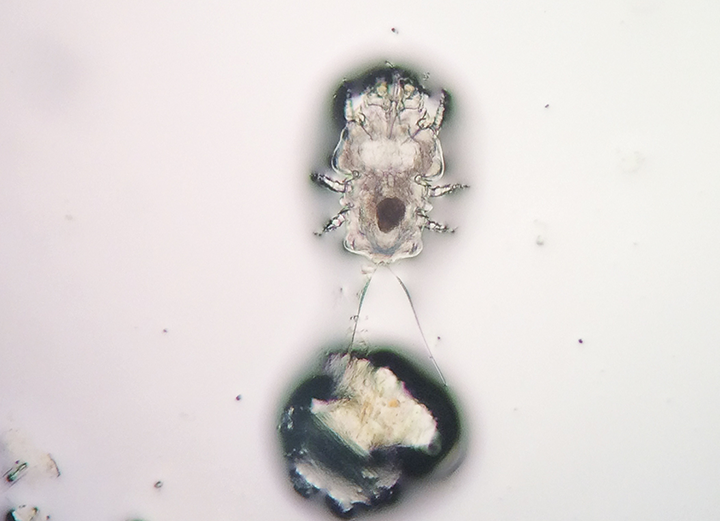 A trichogram can be used to evaluate for ectoparasites and dermatophytosis (eg, fungal hyphae, ectothrix) and for broken or fractured hair ends that would help determine whether hair loss is traumatic. Acetate tape impressions are preferred for drier lesions and can be useful in the detection of superficial ectoparasites and their eggs, particularly Cheyletiella spp. Other common diagnostic tests include fungal culture, Wood’s lamp, skin biopsies for histopathology, and clinical pathology testing, including CBC and serum chemistry profile, as some skin lesions may be reflective of systemic disease. Skin disease in rabbits can be caused by infestation of several different types of parasites, including, fleas, lice, ticks, and mites. Which of the following ectoparasites do you see most often in your rabbit patients? I have never seen ectoparasite infestations in my rabbit patients. I do not see rabbit patients. Pet rabbits may commonly acquire Ctenocephalides spp if in the same household as a carrier dog or cat. Various flea species, including the rabbit flea (Spilopsyllus cuniculi), the common Eastern rabbit flea (Cediopsylla simplex), the giant Eastern rabbit flea (Odontopsyllus multispinosus), and the sticktight flea (Echidnophaga gallinacea), may be found on pet rabbits that are housed outside or that have been exposed to wild rabbits. S cuniculi infestations are common in rabbit colonies.2 The life cycle of this flea is influenced by the hormonal cycle of the host, with sudden proliferation seen in pregnant does and young rabbits. In endemic areas, S cuniculi is a vector for myxomatosis.2 Flea-infested rabbits often are clinically normal, have pruritus, or display a poor coat. Diagnosis is made via flea removal and microscopic identification. Many species of ticks feed on rabbits (Figure 4). The most common in North America to feed on rabbits is the continental rabbit tick (Haemaphysalis leporispalustris).2,4,6 Rabbits can serve as hosts for each stage of the continental rabbit tick’s life cycle, although the tick must leave the rabbit after feeding to develop and molt between each stage. 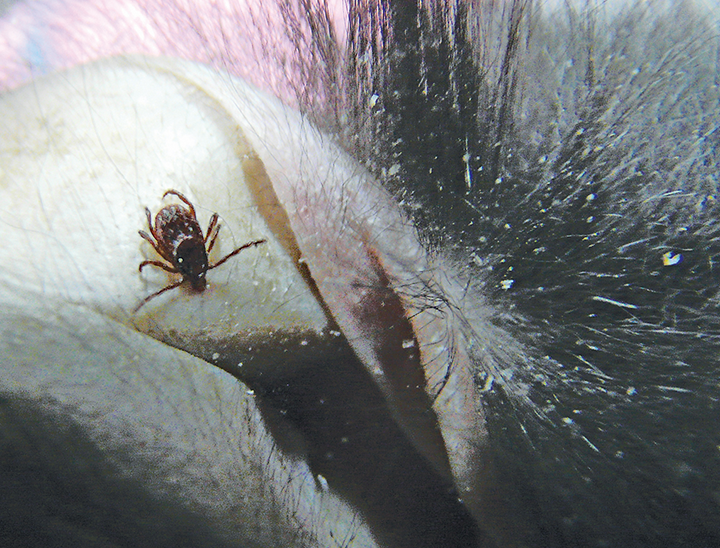 Tick infestation can cause anemia, and ticks also serve as vectors for myxomatosis, papillomavirus, and tularemia. Ticks should be physically removed from rabbits.2,4,6 Because of the potential presence of zoonotic pathogens (eg, Rickettsia rickettsii, Francisella tularensis), it is crucial that clinicians ensure proper tick removal with forceps or a tick-removal instrument. Figure 6 A rabbit showing mild bilateral scaling on the ear pinna. The patient was later diagnosed with the rabbit mite Cheyletiella parasitovorax via skin scraping and microscopic examination. 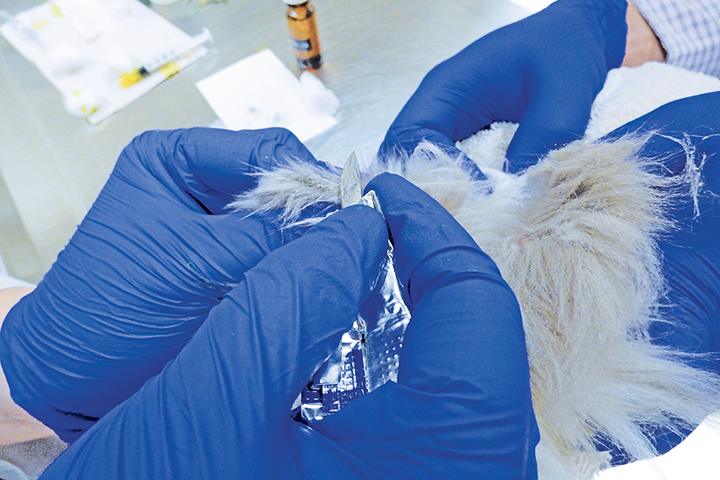 Most cases of antiparasitic treatment in rabbits have reportedly involved use of products that were not originally labeled for use in rabbits, and most chosen treatment options are based on clinical experience or few available clinical trials. Practical antiparasitic treatment options derived from extra-label reports and the author’s experience are detailed in the Table. 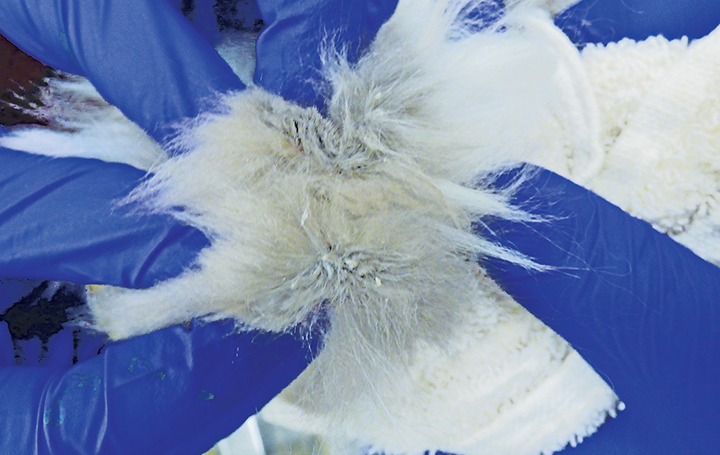 Weekly monitoring of rabbits infested with ectoparasites is indicated, as many ectoparasitic conditions in rabbits have a profound effect on the animal’s quality of life, can become complicated, and, although rare, can pose a zoonotic concern. In addition to monitoring the progression of the patient’s presenting clinical signs and efficacy of treatment, clinicians should inquire about potential environmental treatments, other animals in the household, and any other concerns raised by the owner. Snook TS, White SD, Hawkins MG, et al. Skin diseases in pet rabbits: a retrospective study of 334 cases seen at the University of California at Davis, USA (1984-2004). Vet Dermatol. 2013;24(6):613-617, e148. Palmeiro BS, Roberts H. Clinical approach to dermatologic disease in exotic animals. Vet Clin North Am Exot Anim Pract. 2013;16(3):523-577. Fehr M, Koestlinger S. Ectoparasites in small exotic mammals. Vet Clin North Am Exot Anim Pract. 2013;16(3):611-657. Jenkins JR. Skin disorders of the rabbit. Vet Clin North Am Exot Anim Pract. 2001;4(2):543-563. Rosen LB. Dermatologic manifestations of zoonotic diseases in exotic animals. J Exot Pet Med. 2011;20(1):9-13. 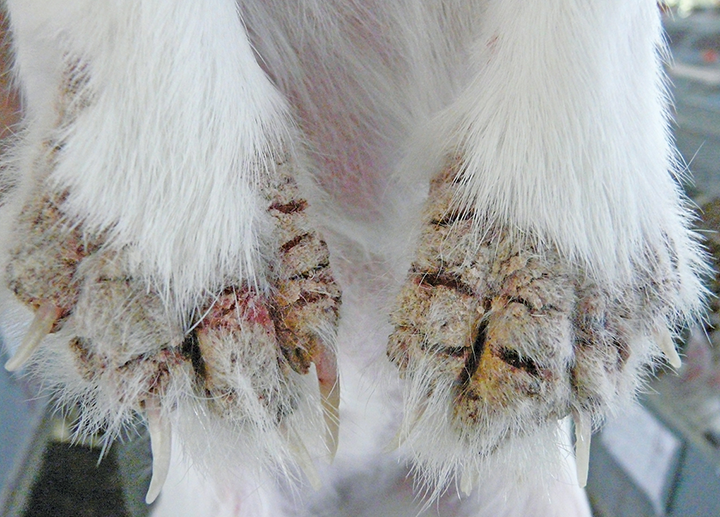 White SD, Bourdeau PJ, Meredith A. Dermatologic problems of rabbits. Semin Avian Exot Pet Med. 2002;11(3):141-150. Elhawary NM, Sorour SS, Bazh EK, et al. Toxicity of fipronil in rabbits as a therapeutic drug for Psoroptes cuniculi: a preliminary observation. J Exper Appl Anim Sci. 2018;2(3):260-265.